Is it a dream? No, it isn’t, the time has finally come: Ricoh Pentax has just announced the mythical and long-awaited Full Frame D-SLR camera! RICOH IMAGING COMPANY, LTD. is pleased to announce the exhibition of a reference product — a digital SLR camera currently under development — at CP+ 2015, one of the largest and most comprehensive camera and imaging shows in Asia. This annual event will be held from February 12 to 15 at the PACIFICO Yokohama convention center in Japan. This is an historical announcement because Ricoh Pentax has not joined the party of Digital Full Frame cameras until now, focusing instead the R&D and all its resources to stand out in other segments: presently the Pentax K-3 is the best in-class advanced APS-C D-SLR camera, winning the EISA Awards 2014-2015 and the TIPA Awards 2014, while the Pentax 645z has just widened the category of “field proof” Medium Format cameras, putting a 51 MPixel MF sensor inside a rock-solid weather-proof body that can be used as a typical D-SLR. Talking about the the sensor, I can assume that we’ll find something similar to the Nikon D810’s 36 MPixel model, without the lowpass filter. Going further, considering that the two just announced lenses for Full Frame (HD PENTAX-D FA★ 70-200mmF2.8ED DC AW and the HD PENTAX-D FA 150-450mmF4.5-5.6ED DC AW) are not equipped with a SR Shake Reduction system, I can deduce that this Full Frame sensor could boast a SR system that will provide the Shake Reduction function, the anti-moirè effect and the Astrotracer feature (paired with the O-GPS1, if the body will not feature a GPS system). 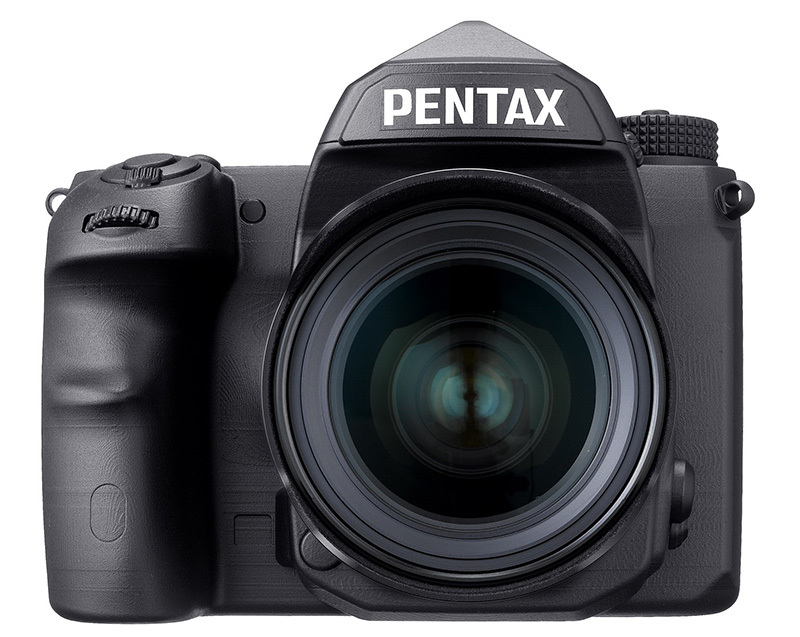 When Ricoh Pentax announced the 645z Medium Format camera stated that the improvements already seen on the K-3 were present inside the new “Behemot”: for instance the Prime III processor and the Safox 11 AF system. This decision permitted Pentax to dramatically improve the performances of the MF camera, while keeping the cost at a reasonable level (the 645z costs about 20% less that its predecessor 645d at launch). Keeping this in mind, I think that the company will adopt a similar strategy, in order to achieve a performing 8fps burst shot and fast AF system, while positioning the Full Frame camera in an aggressive price range. Furthermore, considering that one of the strong points of Pentax is the full weather sealing and extreme sturdiness of its camera’s bodies and lenses, I’m quite sure that these features will be present in the new Full Frame camera in the form of a relatively compact and very robust body. I can’t wait to know something more from the CP+ event at Yokohama and I’m really curious to find out how my vintage Pentax FF lenses (like the smc A 50mm f/1.2) perform on the new camera. 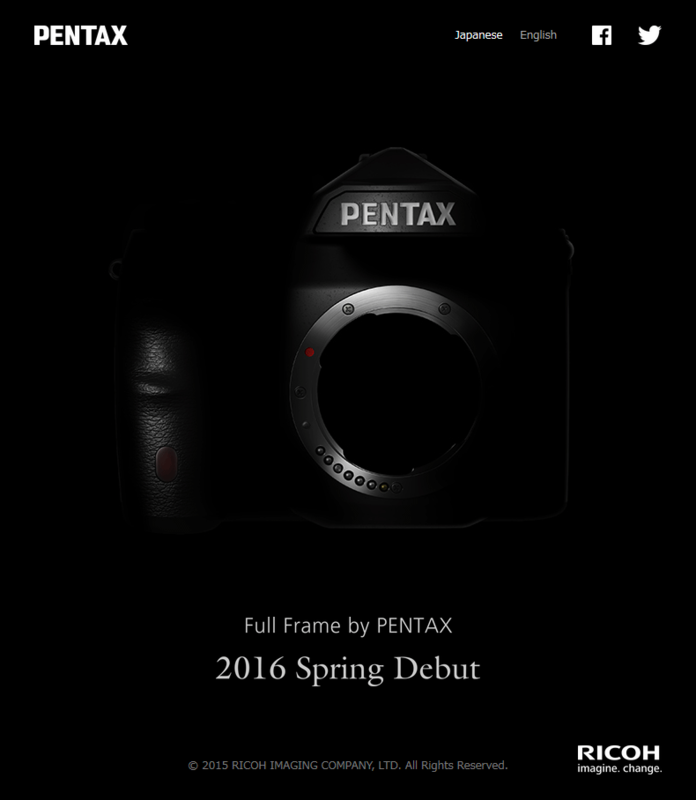 After several months, during which many rumors have kept the attention on this event high, today Ricoh Imaging has published on the website Pentax.com a fullscreen teaser that shows a barely-lit outline of the long wished full frame camera, along with an updated debut time, that is Spring 2016. This is a good and bad piece of news because on one hand we are now sure that a full frame DSLR will arrive for real, but on the other hand there’s a substantial delay compared with the initial press release that announced the launch by the end of 2015. Actually, one of the two new D-FA lenses has been subjected to a delay too. So I’m led to think that other lenses showed on the latest Pentax roadmap will be delayed; in this way, I believe that during the first half of 2016 we’ll see a rich debut of a solid and satisfactory kit, composed by the full frame DSLR, the D FA★ 70-200mm F2.8, the D FA 15-30mm F2.8 (supposed name), the D FA 24-70mm F2.8 (supposed name) and the D FA 28-105mm F4 (supposed name). This would be an appealing ecosystem, centered on the full frame format, that in my opinion will leave the “naysayers” with very few words. As soon as Ricoh Imaging will publish an official press release, I’ll update this post too. So… stay tuned! I'm an Italian photographer and designer with a great passion for the discovery of amazing places and their history and soul. With phoclab.com, I'll tell you every step of my journey and I'll show you my best travel & landscape shots.